Hello loves! 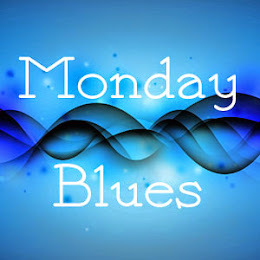 It's a new week and I hope you're not too upset that it's Monday. Today I started a new rotation at school and hopefully a better period in my life. The last semester really sucked. I'm very glad it's over now and looking forward to this one because I have high hopes for it. I can't wait to do something I like and remember why I chose medicine in the first place. Today's manicure is one that I did this weekend, inspired by spring and my new blog theme. I was thinking to post this on the first of March, as a welcome to spring, but I couldn't wait to show you. I really like this one a lot! This week's Adventures In Stamping challenge was "using 3 colors". So I got inspired by spring to do this. It also coincides with the theme of the Nail Art Stamping Contest Spring 2012 on Enamel Girl's blog so it will be my entry there also. I'm not skilled enough to win this by judging, but I sure wanna be entered in the awesome draw. You should check this contest out and enter! 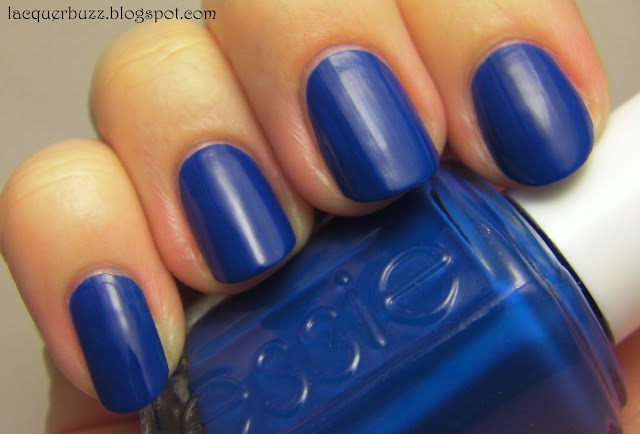 To create this I've used Essie Navigate Her from the spring collection (individual swatches and review coming soon). I then sponged a bit of China Glaze Lemon Fizz on some areas of the nail. Finally I stamped with OPI Don't Mess with OPI and plate m61 from Born Pretty. I took some shots of my left (dominant) hand too. I usually don't do that but this time it came out pretty good. Unfortunately I'm not very used to posing with this hand so it feels pretty unnatural holding the bottle. I did my best. I also want to welcome my new followers! I'm past the 100 mark now and I have to thank all of you for supporting me and looking at my posts. I really appreciate each and every one of you! Thank you so much! Hello my dears! It's Friday again. My week was off so I'm kinda sad that it's Friday because that means my week of vacation is over. But I still have a great weekend ahead so it's not that bad. As you have seen, I've changed the look of the blog and made it a little more springy. I'm in desperate need for spring to come soon because this was a very long and hard winter. With the help of my sister (who I thank), I also have a matching header. What do you think? Today's manicure is a stamping I did for last week's challenge on the Facebook group Adventures In Stamping. The challenge was "plate ending in 3". Here's what I came up with. 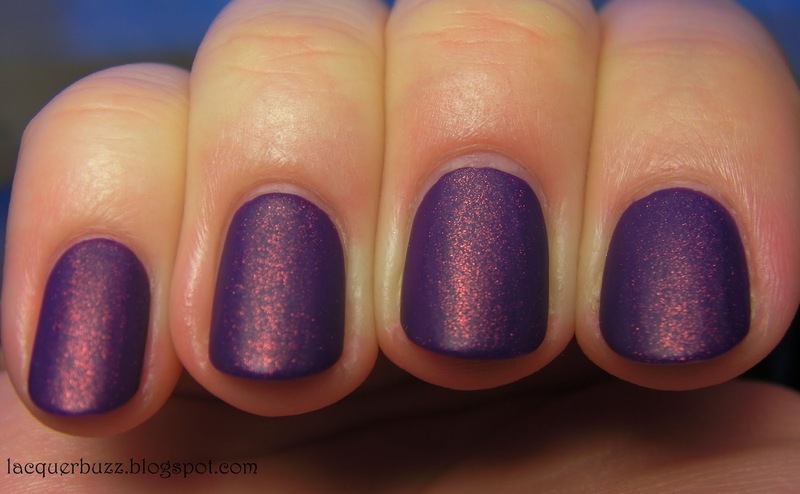 I only have one plate ending in 3, namely the m73 from Born Pretty. Since I've used my favorite design on that plate for the blue challenge (showed here), I wanted to use a different image. The other ones don't work that well though and I really had a hard time doing a decent manicure. I had a great image in my mind with a multicolored manicure using one of the designs, but it didn't come out great at all. Then I went and bought a Konad stamper and scraper and things started working better. The base color is Essie Cocktail Bling and the stamping color is China Glaze Awaken, a dark silver/charcoal from the Romantique collection. 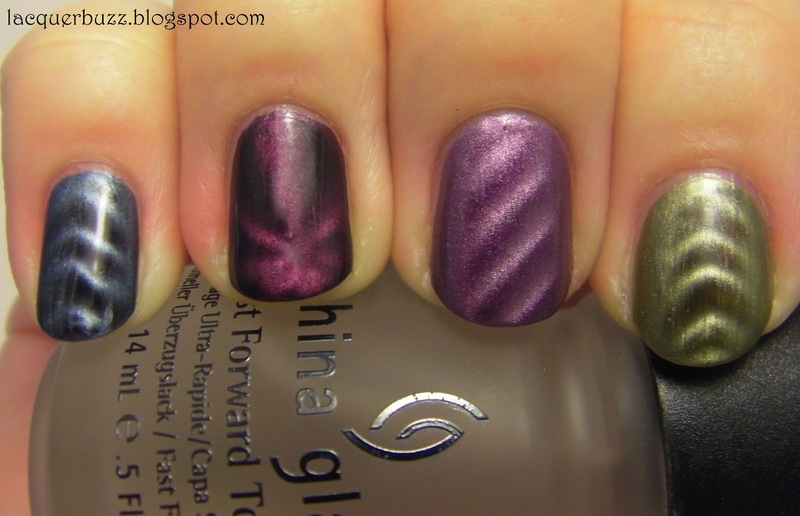 This collection is made entirely out of foils and they all stamp very well. 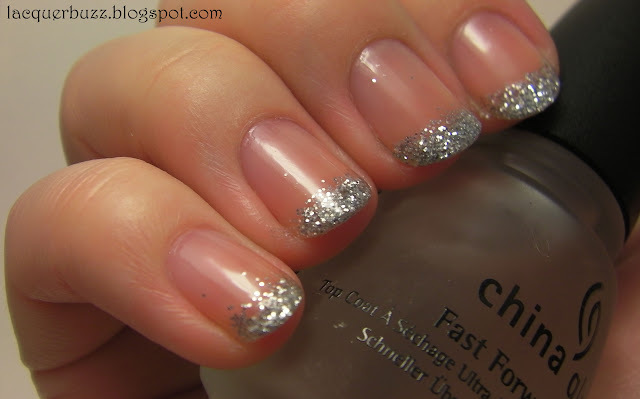 The image I chose, from m73 of course, is a french tip made out of hearts. I had to stamp about 3 times on every nail to get the full nail design. 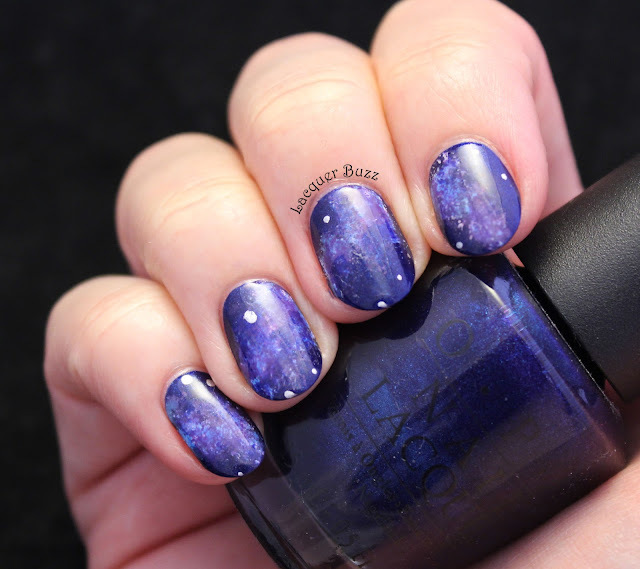 I don't care much for stamping that doesn't cover the whole nail. I think, in the end, this came out pretty well. I made some mistakes while stamping, but did my best to correct them. The Konad stamper and scraper are definitely better than the Born Pretty ones. So if you have trouble with your stamping, consider upgrading your tools! P.S. I now have a tumblr too. If you wanna follow me the link is: lacquerbuzz.tumblr.com. If you are on tumblr leave me a link so I can follow. I also have all the links to the places where you can find me (facebook, twitter, google+ etc) in the left sidebar of the blog, so definitely check them out! Hello my lovelies! 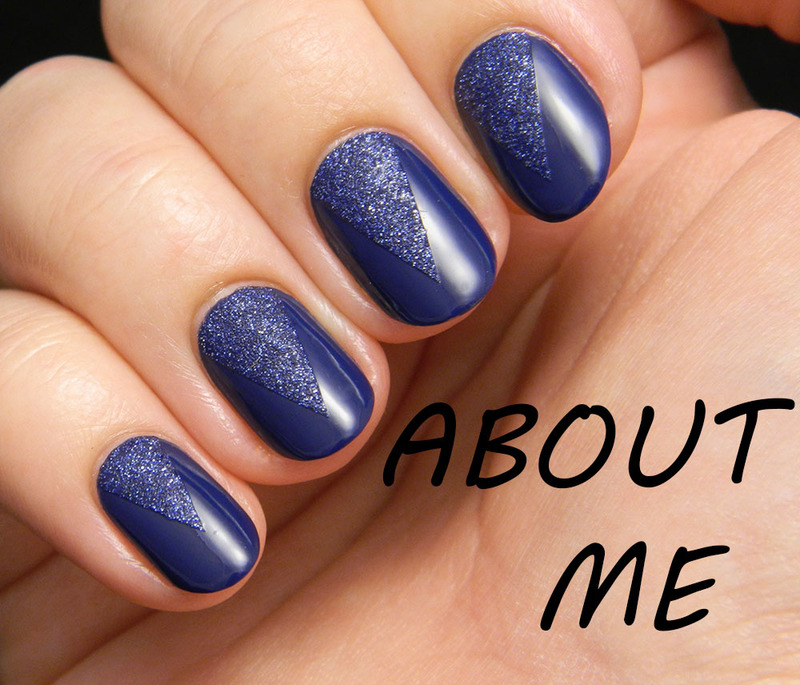 Today I want to talk to you about magnetic nail polish. I'm sure most of you have heard of it already and seen a lot of swatches. Some of you have also tried it. 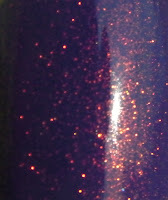 But for those that don't know about it, it's a type of nail polish with magnetic particles in it. 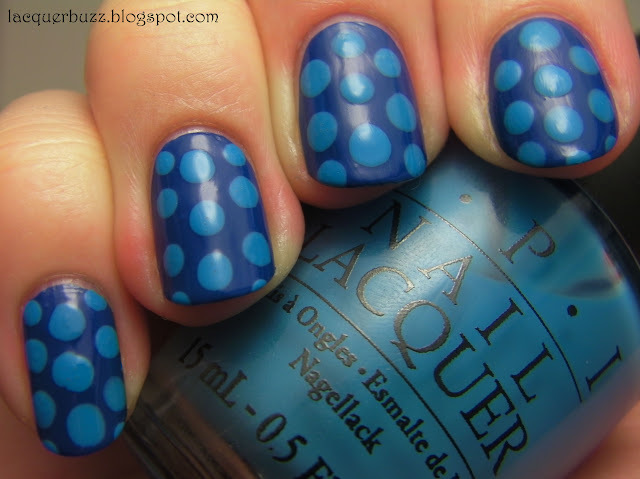 By placing a magnet with a certain pattern over your nail, the particles gather to form a beautiful, effortless design. It's the most accessible form of nail art in my opinion, because it doesn't require any special skills. It also looks great and the metallic finish of these polishes is really edgy. I'm really glad that this trend is getting popular because famous brands are jumping on the magnetic bandwagon more and more. This means it becomes accessible to a lot of people. 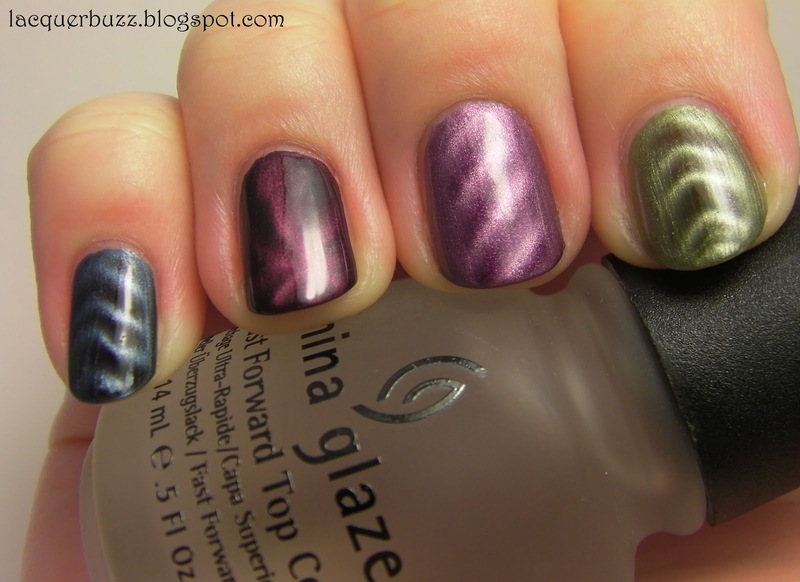 The China Glaze Magnetix collection is the first collection I had access to in terms of magnetic polish. I was so excited to finally be able to order these! The collection has 6 shades but I only got the 4 above. The other ones Attraction (silver) and You Move Me (brown) didn't seem that unusual to me. I almost didn't get the purple one either, but I'm glad I did now because it ended up being one of my favorites. 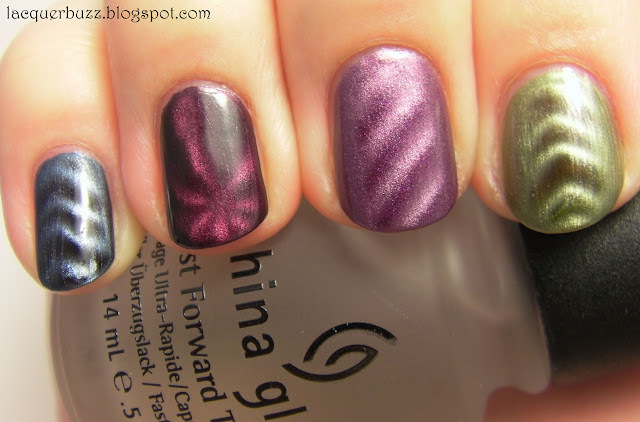 Unlike other brands, China Glaze has only one magnet that has to be purchased separately. If you have magnets from other brands you can use those and not purchase this one at all. What I do love about it is that it has 3 designs: diagonal lines, chevron and star. 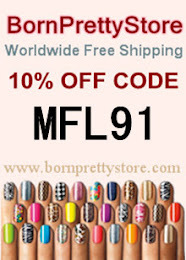 This way you only need to purchase the magnet once and get 3 designs that can be used with all the magnetic polishes you have. 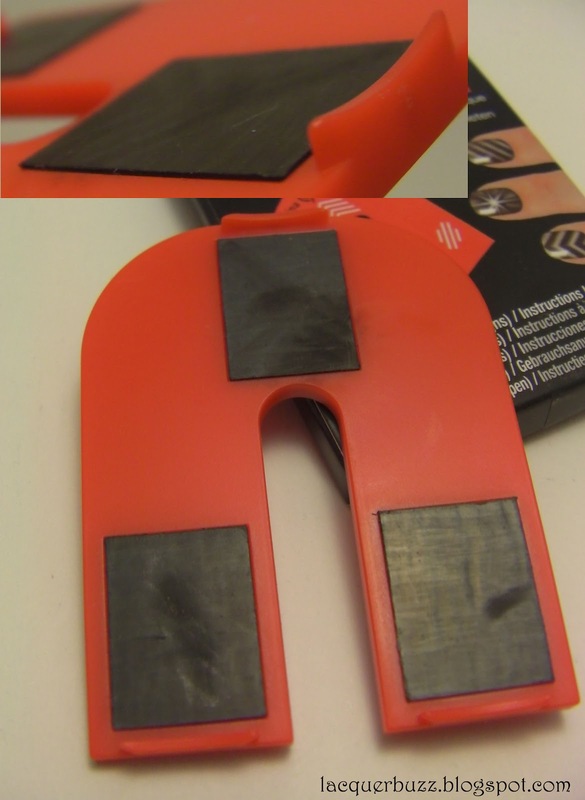 Here are the 3 magnets with the different designs on the U-shaped holder. 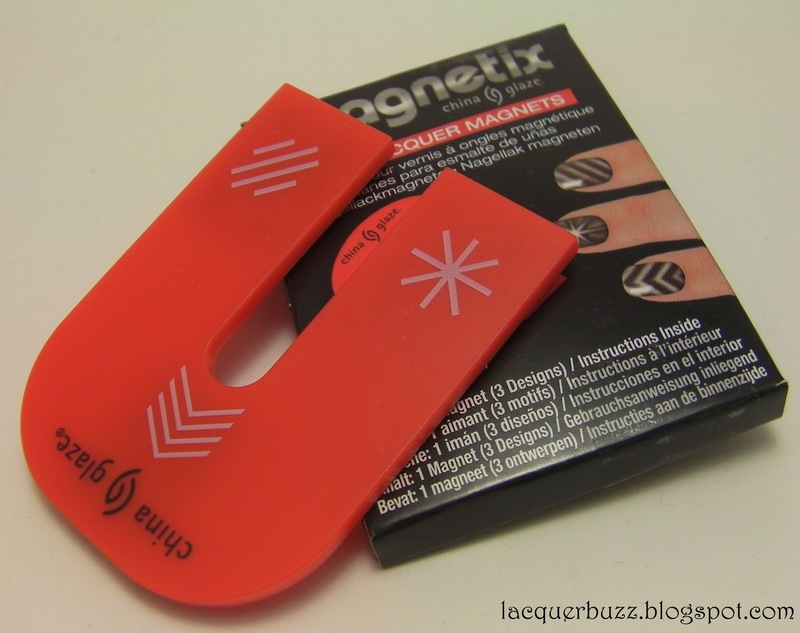 Each magnet has a little plastic ledge that rests on your cuticle, making it easier to hold the magnet over the nail without touching it. What I don't like about these magnets is the fact that they are flat. My nails are very curved and the sides are not close enough to the magnet, so the design only shows up on the middle part of the nail. I have not found a solution for this problem yet, but I'm still practicing. China Glaze claims that these require only one coat, but you have seen above that it can vary a lot. Instant Chemistry is the only one opaque enough to be a one-coater. With the others it depends on the thickness of your coats (except for Cling On that needs at least two coats). I held the magnet for about 15 seconds over each nail. I don't have other magnets, but I've read on other blogs that these magnets are not as strong as others. 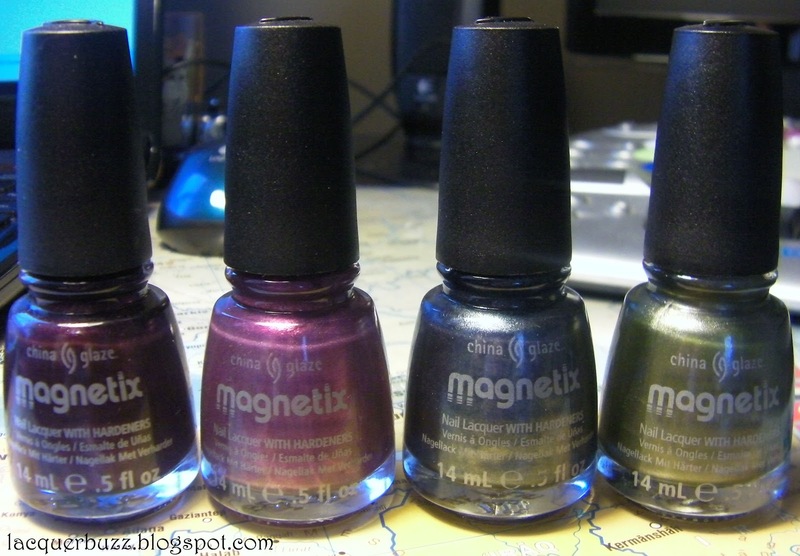 I'm waiting for magnetic polishes to show up on the local market and then I'm gonna do a comparison. I'm also going to swatch these separately and do a different post on each. What's your take on magnetics? Have you tried them and if so, is it love or hate? Hello my lovelies! How's your week going so far? I'm enjoying my vacation with rest, nail art and reading. I have some fun stuff to show you this week, but first I'm gonna start with a true palate cleanser. It's also a polish that very much resembles snow and we've had quite a lot of that lately. 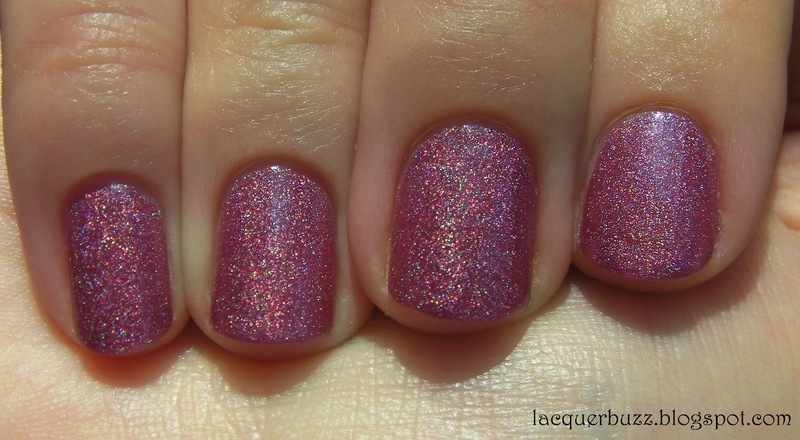 This pretty comes from the Holiday Soiree collection for winter 2011. 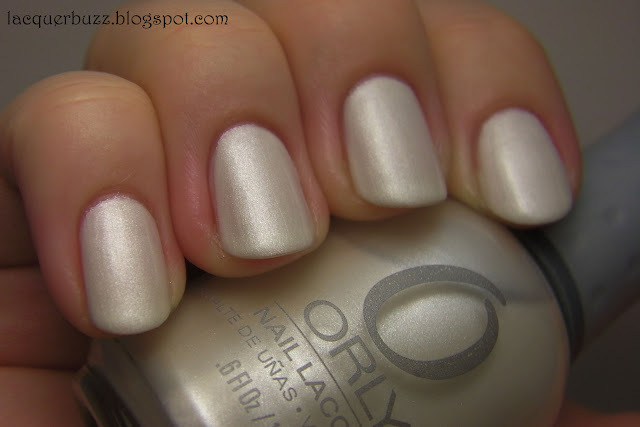 I love that Orly designed a color as perfect and delicate as snow. 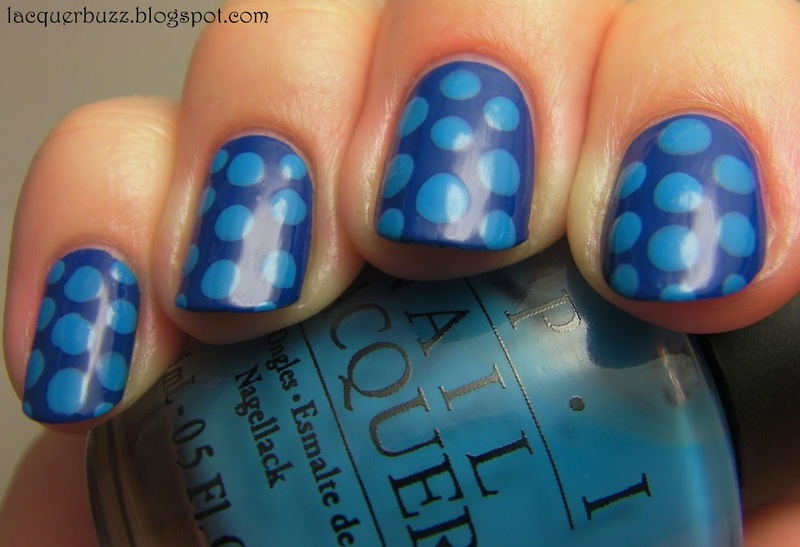 It's a great canvas for any nail art, but can be worn on its own for an elegant look. I thought that this will be more of a pearl finish, but I was pleasantly surprised by the fact that it's almost a shimmer. 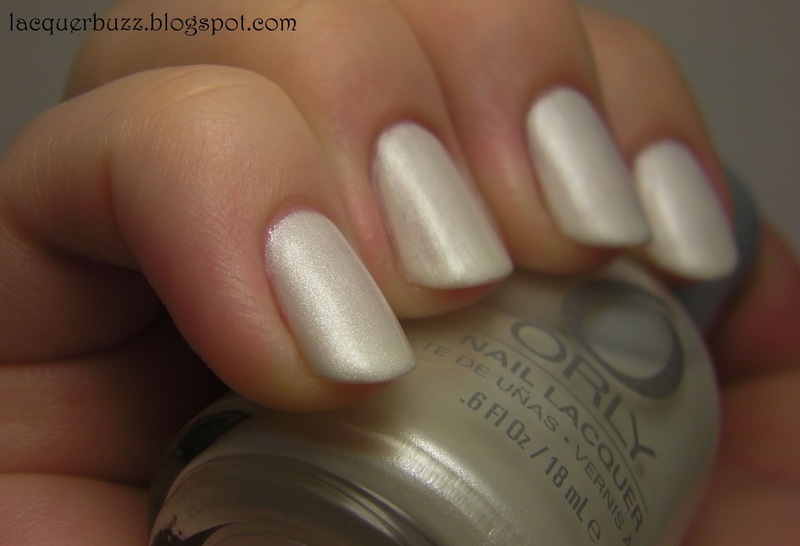 I prefer a larger shimmer in my polish! The formula is a dream. You might get away with 2 coats, but I did 3 here because there was a tiny hint of visible nail line. I didn't mind though because it applies like a dream and dries very fast. I'm not very pleased with doing 3 coats of a polish because I'm not a patient person, but this beauty deserves a little sacrifice. 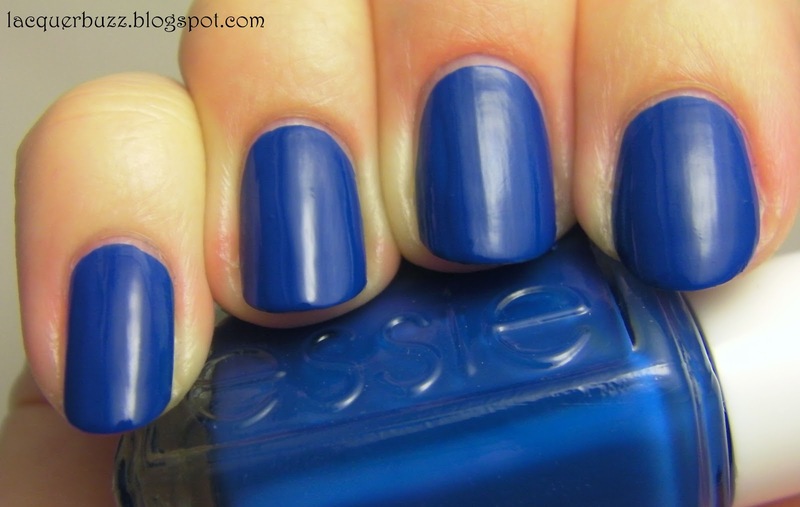 The brush strokes are almost invisible, especially after top coat. I think it does require a top coat because it dries to a semi-matte finish. I'm really glad I got this because it's not something I would usually go for. The raving reviews and gorgeous swatches on a few blogs convinced me. I also have Androgynie from this collection, which I will be trying soon. So what do you think of white polish? Is it something you would wear or is it just too out there for you? Hello my lovelies! It's Saturday and many of you will go out tonight. For a night out you need a bit of glitter. 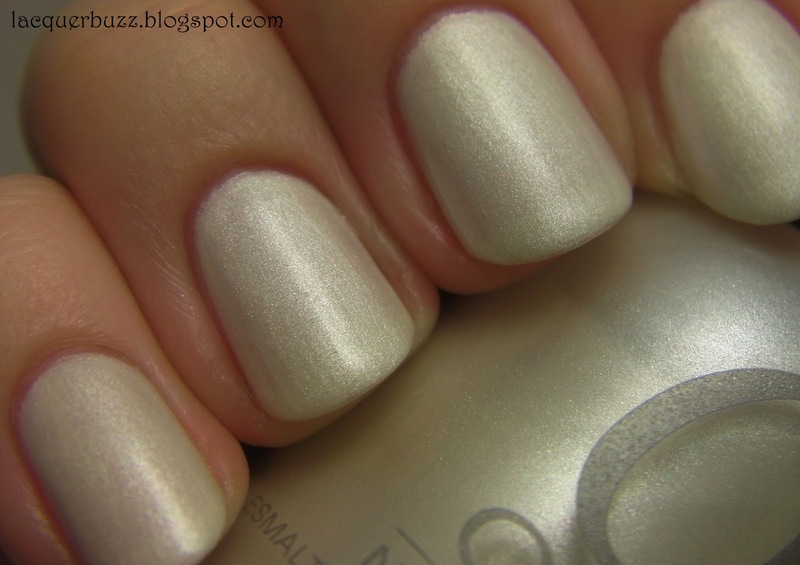 This is actually a mani I wore a few days ago when we went out to celebrate the end of exams. I usually don't like french manicures, but I think the glitter makes it totally different. I chose to do the tips over a clear pinkish base, but this can also be done over a colored base. 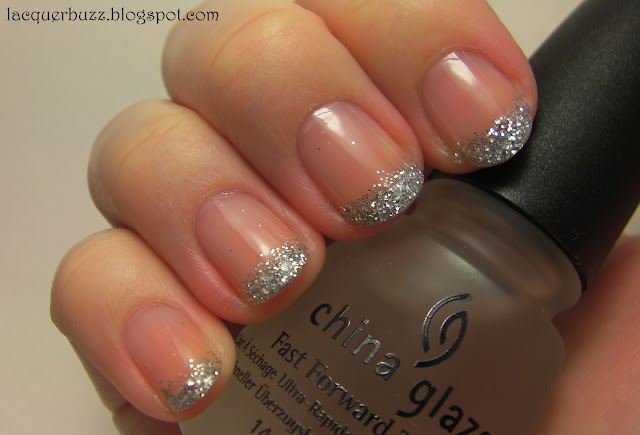 To do this manicure I've used the loose glitter from my previous ebay haul. 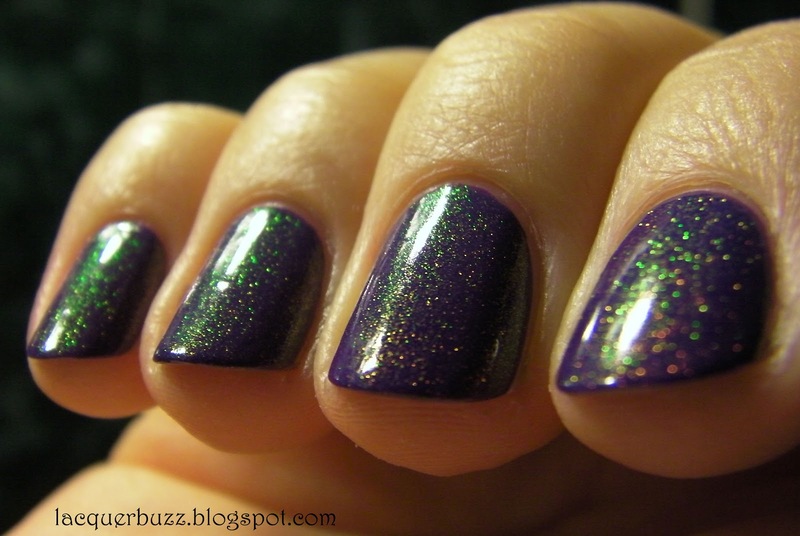 I love this glitter because it's so so sparkly. Another advantage is that it's easier to remove than regular glitter polish. 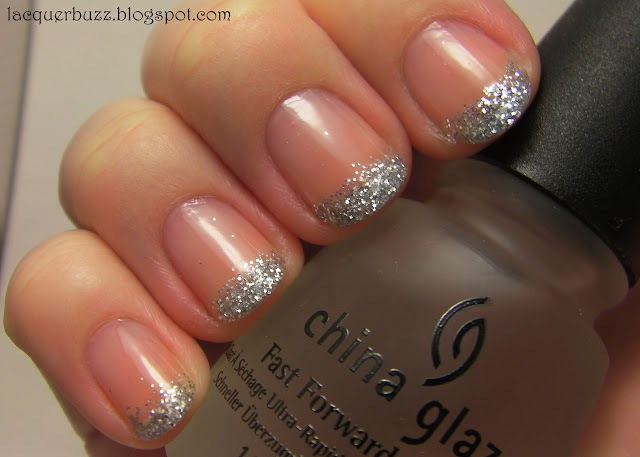 But if you are afraid of glitter getting everywhere, you should not try this. It's very fine and very hard to manage and I ended up using the vacuum cleaner to remove it from my worktable. 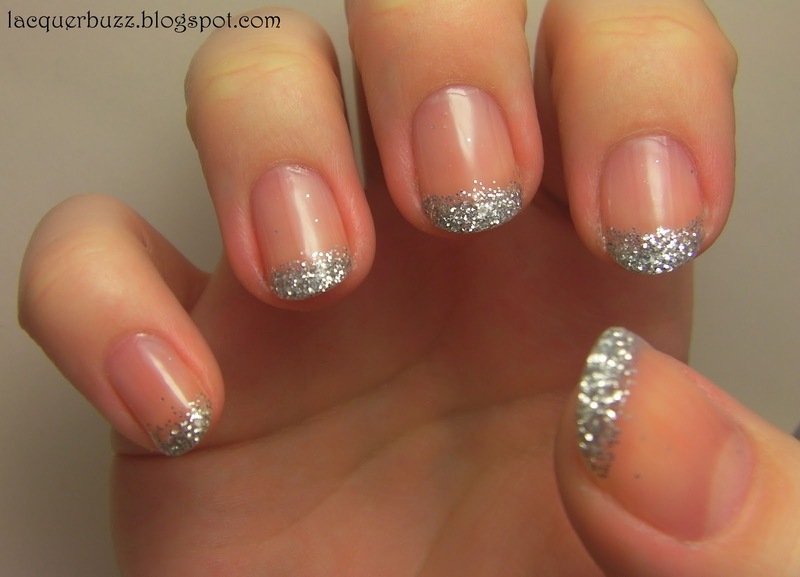 The good thing however is that soap and water usually make the excess glitter from your hands disappear. I was afraid that the yellowness of my nails would show trough, but the pinkish base concealed it pretty well. I actually find this manicure very delicate and a great way to wear glitter without it being over the top. Next time I do this I will use a colored base however because french manicures are just not me. I did enjoy wearing this very much, though! Hello loves! It's Friday! I hope everybody is excited about this weekend and I hope you have great plans. Even if you just want to take it easy and relax for a few days, that's still pretty awesome. That's what I'm planning to do! This post is a little out of the ordinary for me because I want to show you a polish that I didn't like. I usually choose my polishes carefully and see a lot of swatches before I pick them out, so I mostly end up loving everything I get. But I was really disappointed by this one because I just didn't receive what I expected. You can look at the swatches Michelle posted on ALU or the comparison she did with MAC Blue India. 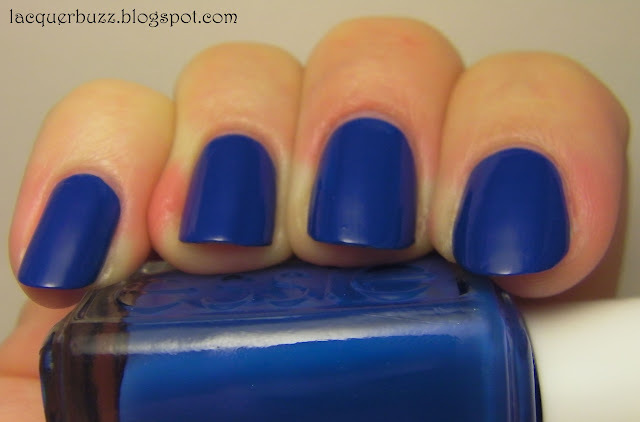 The resemblance with Blue India was the main reason I wanted this polish, but here's what I ended up getting. Now please tell me if this looks slate blue to you. I was surprised to see how purple this looks. If you put it next to a purple it looks blue and next to a blue it looks purple, so I guess you could call it a blurple. But slate, not so much. 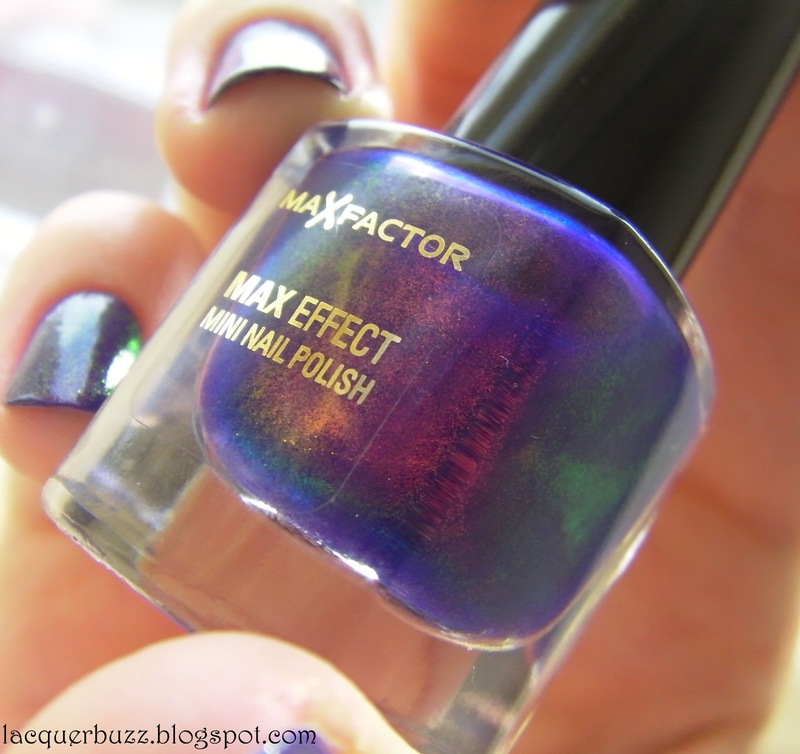 The tiny blue iridescent shimmer is still present, although not too evident on the nail. Many would call this color beautiful, but this is not what I've ordered. The polish is also pretty sheer. I did 2 coats and it ended up looking like it needed one more. I didn't want to waste anymore of it though, because I already knew I didn't like it and I was layering something over it anyway. It doesn't dry quick either. I knew I was just looking for reasons not to like it at this point because it really bothered me that it was nothing like Blue India. I really don't know what the deal with this polish is. Maybe the swatches online are not accurate (I highly doubt it though, because it's always described as slate blue-gray and it is nothing like that color) or maybe they changed the color in the newer bottles. I looked for other Barielle colors to see if maybe it was miss labeled, but I didn't find anything relevant. Either way, it has already found a new loving home. Hello my lovelies! Today is finally my first day of vacation! I haven't had a proper vacation in such a long time and I had to study even during the winter vacation. I'm so happy that I finally have a week and a half all to myself! Today I want to show you what I wore on Valentine's day. Now this is not a holiday we celebrate in our country. It got here recently following media influence. I really don't care about reds and pinks or girly stuff, so I wasn't inspired to do nail art for this occasion. I just painted this on because I wanted to paint my nails and it was a lovely choice. This polish is a festival of flakies! It is honesly one of the most beautiful things I've seen in a long time. Here's a bottle shot. The base color of this one is purple. It looks much more purple with two coats, but I did 3 coats because the result was richer and more opaque. This way it looks darker, but you can still see the purple and it doesn't look black. 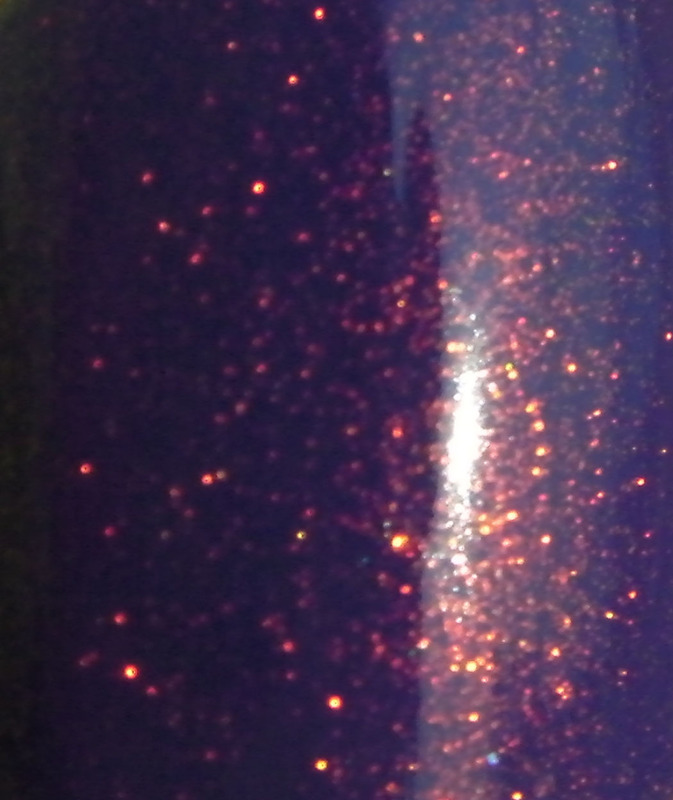 The flakies are mostly orange/copper and blue, but they shine different colors depending on the light. There's also small silver glitter in the mix. It's really hard to describe. So you should just see for yourself. Sadly, I had to remove this last night because of my exam. I had no time to make it matte like I do with all polishes. But I will make it matte one day and I'm sure it's gonna be glorious! Hello beauties! 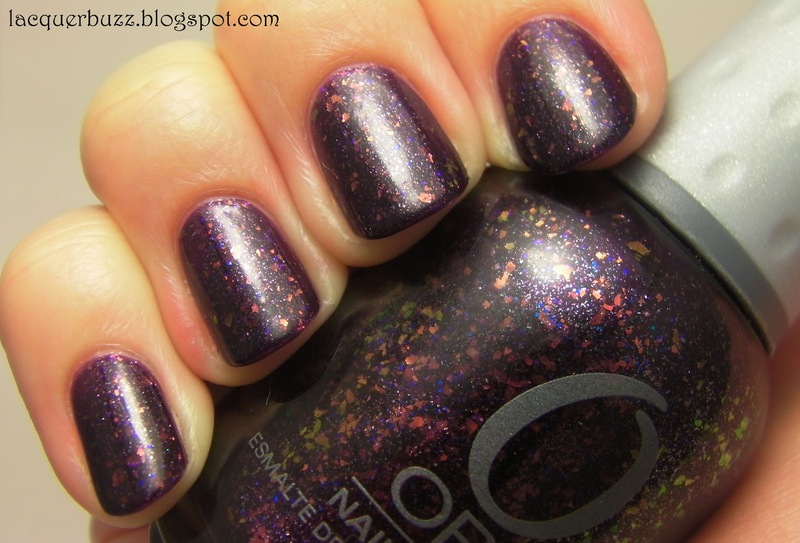 Just a quick post today to show you a few pictures of this great polish with a matte top coat over it. If you missed it, you can find the original post featuring Fantasy Fire here. I'm still pretty busy preparing for my exam on Monday. I can't wait for this to be over so things can return to normal again. I have a ton of polishes to swatch, a lot of nail art ideas and a whole lot of photos to edit. I haven't seen any photos of this with a matte finish online, so I thought I should give it a try. I really like how it looks, although the multichrome effect is almost gone. It's a very subtle and elegant look. A lot of people don't like the matte look on their nails, but I'm still in love with how my hands look with a matte manicure. 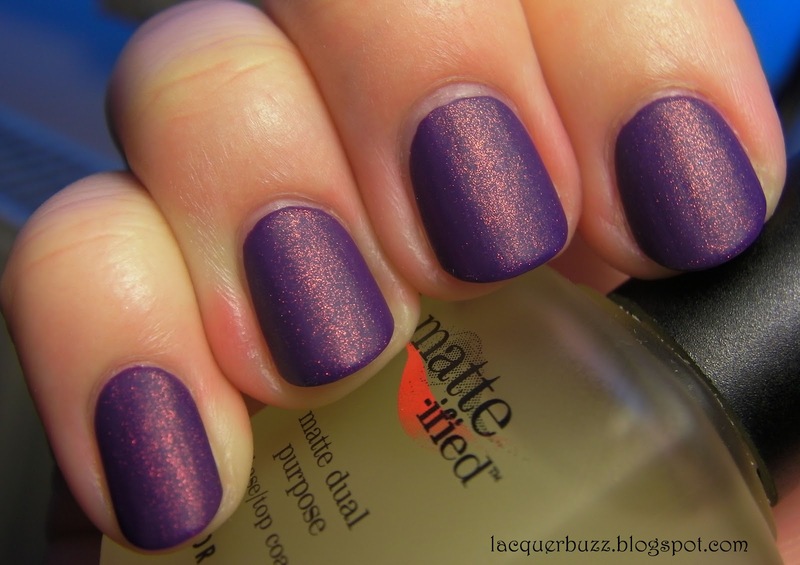 I especially like matte shimmer and glitter. So what do you think? 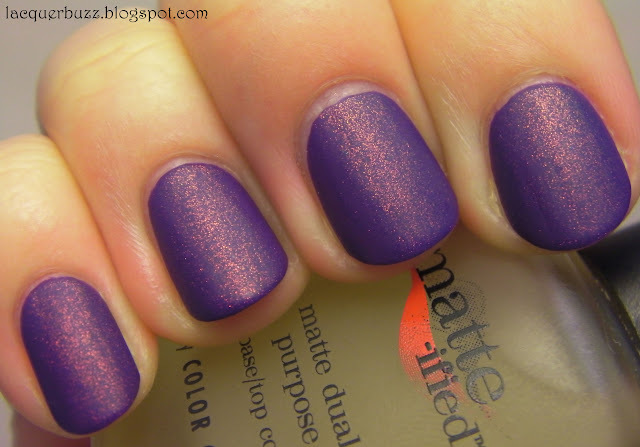 Are you a fan of matte or not so much? Hello loves! Today my blog is 5 months old. I'm so glad I'm celebrating it with this post! Where do I start? Here's a pretty bottle shot for you! So this is what we are talking about today. This tiny pretty bottle of heaven is supposed to be the new dupe for Clarins 230 (aka unicorn pee). If you don't know what that is, well, it might be the most wanted polish of all time. It is discontinued and runs for crazy (I tell you, you wouldn't even imagine how crazy) prices on ebay. From what I know, the Max Factor is only available in the UK so far. My lovely friend and fellow blogger, Esther from Fab Fingertips kindly sent this to me. Thank you so much, Esther! You are really the best! This is a little macro shot of my nail with the polish on (in the sun). 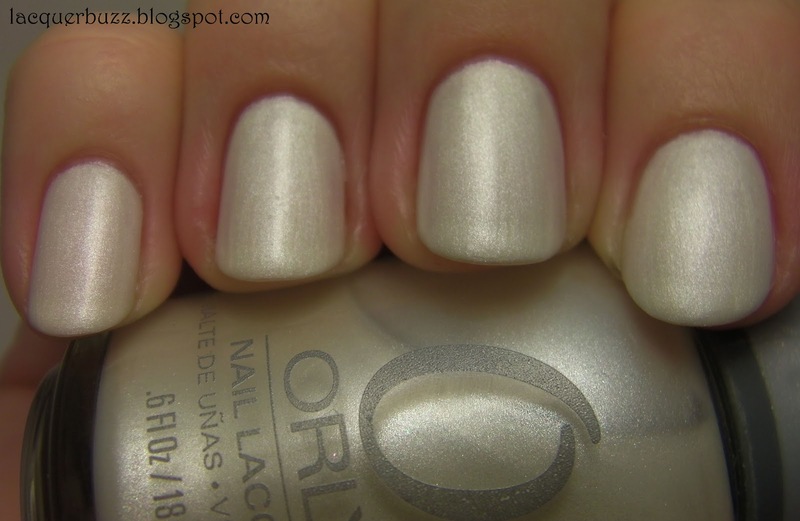 This is sheer and the bottle only holds 5 ml, so it's definitely a layering polish. I gave a lot of thought and research in order to decide on a base color. I finally went with purple and I chose China Glaze Grape Pop, a great medium purple creme. Here's a shot of it alone. I took a lot of photos of this one. Like really a lot! I was waiting for a sunny day to swatch it and of course that while I got home and painted my nails, the sun decided to fade. I tried my best to use different light settings to capture as many aspects of this as possible. Hope I did a decent job. 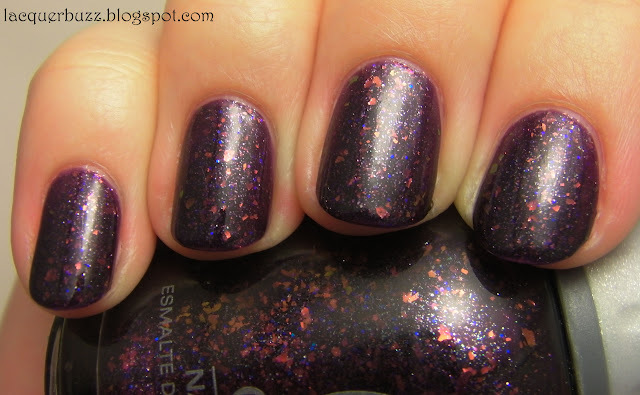 Fantasy Fire is a red/copper shimmer in a sheer purple base. The color of the shimmer shifts from red/copper to gold to green. You can really see a lot of colors in this depending on the light. Keep in mind that it also can look a lot different depending on the base you layer it over. Most of my photos are without top coat, so you can see it's really shiny. I did put on some top coat later on and some of the pictures are with top coat, although I can't tell which ones. I'm not one to comment on how close this is to the Clarins. I don't have that one to compare this to, but rumor has it they are close dupes. I really hope this will be available in more countries so everybody can enjoy it. I'm so grateful to Esther for sending it to me! Hope you liked my pictures and talk to you all soon!